Star booked their place in the BNI U14 final to be held at the Antrim Forum next weekend with a gutsy performance against Blackwater Steelers, emerging victorious 37-21. Missing Peter Henvey, Star drew again into their reserves, and Emmet Corr made his first appearance of the season and made an immediate contribution from the charity stripe with his trademark southpaw shot. Importantly, the whole team came together and it needed this unity of purpose to deal with a fired up Steelers team who came to St Malachy's Gaaden with nothing to lose, and gave it their best shot. Conn Doherty was a game time decision, having suffered a freak knee accident which required 20 stitches, but you wouldn't have guessed it from the courageous performance he delivered, making several key defensive interceptions, matching the Steelers' physicality on both ends with a superb all-round game. The first quarter was again nip and tuck just like the previous week, but unfortunately Star didn't get the benefit of the roll with their home hoop, and missed several opportunities to take control in the first Quarter, and for the first time found themselves trailing 6-4. Niall McGinnity was unlucky despite putting up some great efforts, but Star kept in touch courtesy of a lovely drive and finish at the rim by Dermott Maguire. Star's greater depth began to emerge in the 2nd Quarter, and they regained the initiative behind a solid effort from Conor Ryan, Kevin McColgan & Oisin Donaghy on the wings, and Conor Cooke & Conn Doherty inside, taking the quarter 7-2 to lead by 3 at the half. Again they were unlucky with some great looks as the lid stayed largely on the hoop, but importantly the tempo began to swing in the manner this team likes to play. Not for the first time, Star seized control of the Money Quarter, and Steelers began to find it difficult to break down an aggressive defence, as CJ Fulton stepped up and took responsibility for marshalling Steelers' best player Andrew O'Connor, keeping him to one basket the whole second half.First Niall McGinnity & Daniel Hackett, and then Conor Cooke started to dominate the paint. Conor Ryan, enjoying extended minutes with CJ Fulton in the backcourt, rose to the occasion of a semi-final win-or-go-home situation, and had a superb game overall, hitting 14 second-half points and playing excellent defence on the dangerous Gonzalez. Star broke the game open with a 14-6 quarter, to lead 23-14 at the short hooter. Matthew Mulholland made an immediate impact with a lovely shot from the corner to kick off the 4th quarter, but Star could never really settle as Steelers typically fought to the bitter end. They rode the hot hand of Conor Ryan for the rest of the quarter, to finish off a tough opponent on a scoreline of 37-21. Whilst it wasn't the slickest performance of the season by this team, it was in fact a better performance than the previous week, with fewer errors made on the offensive end and the team demonstrating a clinical side to reach their goal of the BNI Final. Everybody made significant contributions when they were called on, and unlike the league games, this semi-final was all about the result. Star now await the winners of Queens v Lisburn Phoenix, which should be an intriguing match-up, but on this form it will be a huge ask for any team to challenge the quality of this Star team. Star u14A created a little bit of history on Saturday, closing out their league campaign with a victory over tough opponents Blackwater Steelers and ensuring they remained unbeaten all season. It is now 3 seasons in a row that this team has competed this feat, something never done before in the long and storied history of this club, and a tremendous way to mark the club's 50th anniversary - the future is in good hands if this group can reach their potential. The team welcomed back Ronan O'Neill into the fold for this game, on account of several injuries and unavailability, and he set about doing what Ronan does best, making significant contributions on both ends by forcing several turnovers and showing great decision-making offensively. Star showed yet another different look for this one, as Conor Ryan took over the reins for the first quarter of play to allow 'Sshhwaap Bro' CJ time to catch his breath following his exhortations in the preceding u12 game. He didn't skip a beat, nailing two crucial '3's to keep the scoreboard in check as Star weathered the predictable blood & thunder opening from a tough and ever-improving opponent. With Peter Henvey picking up 3 fouls, Star had to hang tough, and Conor Cooke stepped up to the plate with a huge 1st quarter contribution on both ends, to leave the team levels at the break at 11-11. As the Steeler's intensity waned a bit with personnel changes for the second quarter, Star began to establish a grip on the tempo of the game. A refreshed CJ Fulton took the baton off Conor Ryan and drove his team forward on the offensive end, while Daniel Hackett took responsibility defensively and locked up BNI team-mate and potential danger-man I. Gonzalez, holding him to one score in the quarter. Niall McGinnity continued his fine form of late, and is really becoming a monster on the boards, collecting 9 in this shift on both ends and importantly scoring with offensive put-backs. The short hooter arrived with Star carving out a 6 point lead on 23-17. The team went out for the Money quarter with their ears ringing from their coaches about the fundamentals, having shipped more turnovers - in particular Travelling violations - in one half than they had given up in any whole game all season. The coaches got the response they were looking for with a disciplined, aggressive performance, CJ Fulton & Conor Ryan upping the pressure in the backcourt, and the twin towers of Conor Cooke & Niall McGinnity owning the paint. Star vs Steelers contd... Conor Cooke borrowed his team-mate's nickname for one memorable defensive play, administrating a 'Serge Ibaka' spike to a Steeler's attempted lay-up, which helped fire the team up further. Peter Henvey, nursing a bit of foul trouble, began to get into the game, connecting on some sweet back-door cuts to open up the Steeler defence, and the game was cracked open, Star leading 35-19 at the end of the quarter. 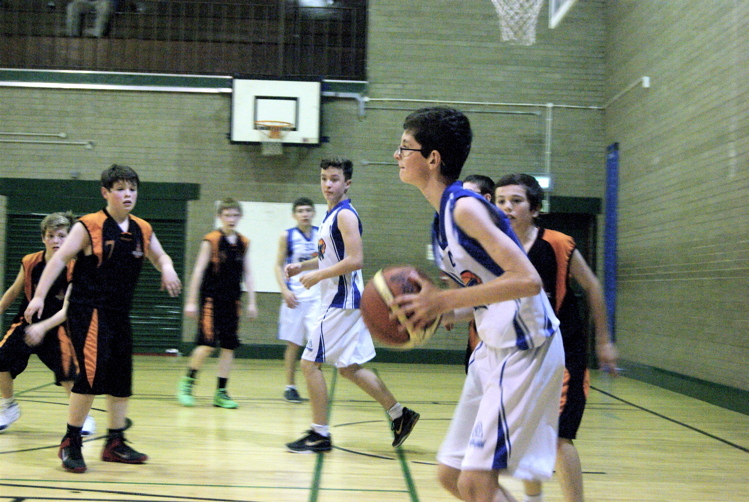 The u14As welcomed a very good Phoenix team to St.Malachy's 'Gaaaden' on Saturday, emerging victorious 51-25 as they attempt to close out an unbeaten league campaign - again - with one game to go away to old rivals Blackwater Steelers. Phoenix had to go without BNI player Peter Corr who was a last minute scratch, but with fellow BNI players Lynn & Bagio stepping up to the plate, Star had to put in a disciplined shift to ensure the W.
Niall McGinnity set the tone right from the start with an MVP performance, and with the help of Daniel Hackett, made this a statement game by dominating the paint on both ends of the floor. In fact, the Royal Mail sponsored 'Special Delivery' of the game was duly served up by the big man with a deft no-look bounce pass to a cutting Hackett for a beautiful lay up. All five starters got in on the scoring act as Star established a 16-8 lead at the end of the first quarter. It was more of the same in the second quarter, as Star executed superbly in the half court under the direction of Conor Ryan, and maintained their trademark defensive intensity. Kevin McColgan had his best game of the season, getting out on the break to score and defensively making a general nuisance of himself. As the quarter wore on, Phoenix found it tough to keep up with the high tempo of a very fit unit, as they extended the lead to 33-14 at the short hooter. The 3rd quarter started and finished with two plays straight out of the top drawer, which pleased the coaches and drew gasps from the home support. Matthew Mulholland and Daniel Hackett executed a superb pick-and-roll option out of one of the offences which was a joy to behold on the very first play of the half. 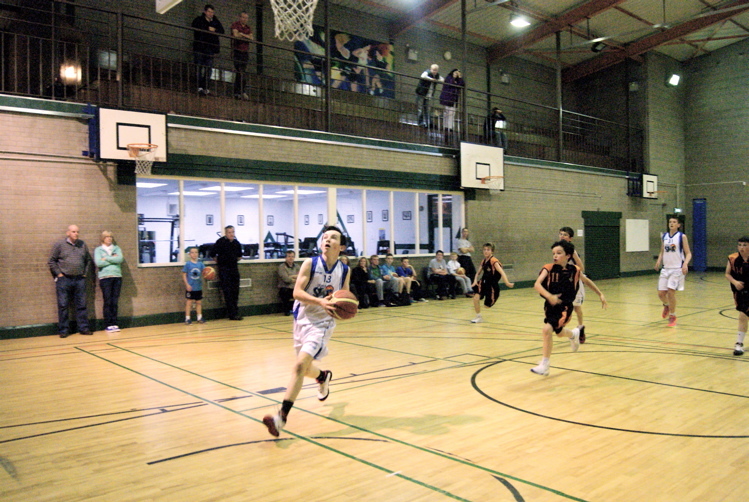 And, with 4 seconds remaining on the clock, CJ Fulton connected on a Tony Parker 'floataa' from a lovely dribble hand-off from Niall McGinnity as the hooter blew, it really was fantastic to see. Star saw the game out in the 4th quarter in a disciplined way, which was required as Phoenix mounted a final push to try and get back into contention. Each player on the team continues to improve their understanding of their role within this team, and this becomes apparent when you see a good team like Phoenix being held to 25 points on the defensive end, and the spread of scoring is right across the whole team on the offensive end, signs of superb ball movement and growing trust in everybody's abilities. In a game where the team put in excellent performances across the board, Niall 'Ibaka' McGinnity got deserved recognition for a great all-round effort, but has now raised the bar again for the team standards. Star u14A team made short work of a valiant Dungannon team on Saturday, recording a 54-5 win in a rather one-sided affair, though the visitors' cause was not helped by having to play a tough and well-contested match a few hours beforehand against the ever-improving Star u14b team. The A team - the majority of whom had caused big ripples to reverberate across Ireland when helping St. Malachy's scalp the much-fancied 'Bish' school from Galway earlier in the week - brought their good form and increasing confidence into St. Malachy's 'Gaaaden', and went about their business in a disciplined fashion. The coaches looked at a few different line-ups for this one, to see how players would adjust their game and focus on the play, and must have been satisfied. Dermott Maguire, gaining in confidence with every game, and the Osh-man Donaghy started on the wings along with CJ Fulton, with Peter Henvey & Conor Cooke working the paint, and put in a great performance, 'grannying' Dungannon in the first quarter on a scoreline of 16-0. The second quarter group picked up the baton and continued to play in a disciplined way, and with Conn Doherty getting a rare chance to start in the '3' spot, this unit was able to dominate both inside and outside. Niall McGinnity ran the floor superbly, and both himself and Daniel Hackett demonstrated much improved discipline and control to continually make the right options, to the benefit of Kevin McColgan and Conor Ryan who cashed in as the pace never dipped the whole quarter. Much to the annoyance of the coaches, this 5 even executed a much-practiced side-line play, which will cost the coaching staff team Subways all round next time out. The second half was played in much the same vein as the first, and it was encouraging to see the team stay focused on the job-in-hand and 'the next play', which can be difficult in situations like this. Dungannon, true to their heritage, never gave up and kept at it to the end, but fatigue from their efforts in the earlier game certainly didn't help their cause. The game finished with Star taking a comfortable win on a scoreline of 54-5, to remain unbeaten with only a few games to go. Can they go through to the dance unbeaten again? It was gratifying to see everyone play well and play hard, and MVP was awarded to Rory Brolly for keeping his concentration enough to run the scoreboard in nearly-perfect fashion. Star u14A's made the short trip to the Omniplex in Lisburn, and ensured back-to-back wins in the week for themselves, and also back-to-back wins on the day following the superb u12 victory in the game beforehand. Those who watched may well have seen the best entertainment the Omniplex had on show all weekend, as a good and improving Phoenix side asked serious questions of this still-undefeated team, but yet again the depth of the Star roster became apparent as the game wore on, and Star took the 'W' 48-36. Star set the tempo right from the tip, with CJ Fulton hitting a streaking Kevin McColgan on a cross-court pass for the easy 2 before Phoenix had even set up their defense. A tough quarter ensued, and the game stayed tight and tough in the 2nd Quarter too, as both teams tried to gain the upper hand. Both defenses locked in as referee Sean Moyes allowed the teams to play, and scores were of a premium. Probably for the first time ever, Conor Ryan didn't make it on to the scoresheet in a quarter, but he kept the all-important tempo where this team like it, and it was fantastic to see Conor Cooke, Conn Doherty and Matthew Mulholland step up and fill the gap, connecting on some nifty inside play and fast-breaking to push the scoreline to 20-14 at the turn. As is so often the case, the 3rd Quarter was when Star started to turn the screw and the team shot out of the blocks to take the game by the scruff of the neck. Having stretched the lead by a further 9 in the 3rd quarter, Star looked to wrap the game up in the 4th. Keeping a balanced unit on the floor throughout, Star were able to hold off a spirited fight by Phoenix, who had BNI players B. Lynn and J. Bagio shoot the ball well from behind the arc to keep them hanging around. However, Star ran out winners by by 12, 48-36. For this game, the unsung hero and deserved MVP was Conor Cooke, who quietly went about his business playing excellent on-the-ball and help defense, got his share of the boards, and took his opportunities to both score and assist in the offence as they came to him - a great all-round performance. The U14A Team kicked off the new year in great fashion with a comprehensive victory against cross-town rivals Queens in a mid-week tussle, pulling away for a 52-36 victory in Wellington College. This was unquestionably the best team performance of the season to date, with every player who pulled on the Star vest playing like it meant something to him, and this attitude on display was the most pleasing aspect of the win. The coaches anticipated a strong Queens unit in the first quarter, and they were not disappointed. Star set up a strong defensive unit, and Daniel Hackett stepped up to the plate to guard Queens danger man and fellow BNI teammate Matthew Rooney, and put in a solid quarter. The quarter went to and fro, and with Conor Ryan pushing and probing, and Niall McGinnity proving a handful in the paint, Star edged the first quarter 13-11. The baton was handed over to the second quarter unit, but as ever the tempo didn't change, and Star started to put the squeeze on their opponents. CJ Fulton led the way with a brace of baskets, mixing it up inside and outside and hitting 12 points in the quarter. But sterling on-the-ball defense in particular by Kevin McColgan and CJ Fulton, and smart help defense by Peter Henvey, Conn Doherty and Oisin Donaghy, put all sorts of pressure on their opponents, and in fact succeeded in a total shut-out for the quarter - an incredible defensive performance against a good team. Star led 25-11 at the short hooter. Queens never gave up and came out fighting in the 3rd quarter with their strongest line-up, and Rooney leading the charge. But Star didn't blink, kept the tempo where they wanted it to be and met the individual challenges head on, keeping Queens at bay and extending their lead a further 4 points. Niall McGinnity showed glimpses of his potential with some great offensive play, and capped it off with a lovely move off one of the team's end-line plays. At times, Star's offence was a joy to watch as Kevin McColgan showed shades of his dad's trademark bankshot in the Kerry Inn for nice scores, and Dermott Maguire made a lovely heads up play to dish an assist out to Conor Ryan. Despite a concerted effort by Matthew Rooney to bring his team back in contention in the 4th Quarter, Star were able to rotate their strong bench in again and keep the scoreboard ticking over, and ran out eventual winners 52-36. CJ Fulton led the way offensively with 22, but the scores were nicely spread across the team. Matthew Rooney worked hard for his 21 points, and this was a compliment to both his game and the tough defense that was on him from the get-go. This performance was waiting to happen, and it's taken some time for the team to realise the importance of team-first mentality, but this standard is now the expected base-line for a team just beginning to show its true potential. The u14A team made the trek up to Letterkenny in the early hours of Sunday morning, and returned with a comfortable 'W' to maintain their unbeaten run on a scoreline of 84-15. Despite adverse conditions, a fully committed squad navigated the annual Glenshane Pass challenge and were welcomed, as always, into the warm and friendly surroundings of the Loretto Convent. 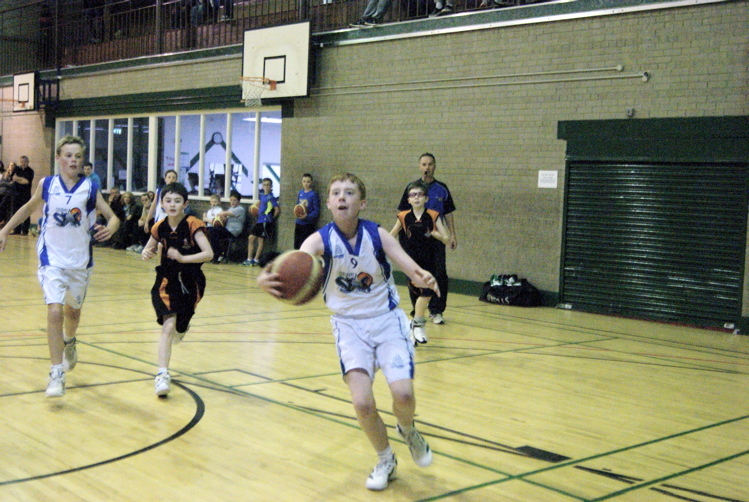 It was always going to be tough for this current Blaze outfit, and despite an excellent effort by young BNI player Padraig McGettigan, the sheer power of the Star team was impossible to stop and the game was quickly put beyond reach in the early stages. All 12 Star players scored, and it was in fact very pleasing to see the spread of scores across the squad, as players rotated in and out over the 4 quarters, but the DEFENSIVE INTENSITY and the HIGH TEMPO remained unchanged right through to the final buzzer. The unit that started off the first quarter set the standard for what was to come, and Matthew Mulholland took full advantage of his first starting opportunity with a strong performance, slotting in very comfortably on both ends of the floor, the score at end of Q1 22-5. There was no stopping Star in Q2 - and in particular 'Sshhwaap Bro' Conor Ryan - who drove the team on relentlessly for the next period. Blaze just didn't have an answer, and at half-time the lead had ballooned to 48-5, Conor plundering 14 points all off turnover ball and 5 dimes in a blur. Probably the most pleasing aspect of the game for the coaches was the application Star brought to the second half. Again all the team put in disciplined shifts when their names were called, and paid the opposition respect by playing in a fair but focussed fashion, which was duly commented on by the opposing coaching staff afterwards. The team were able to run and work through both established and recently introduced sets which will help them down the line. All in all, it was a satisfying TEAM effort, but the worthy MVP on this occasion was Conor Ryan who finished with a game-high 22 points, 8 steals and 8 assists, all in a blistering 10 minutes. The u14A team remained unbeaten after their 4th outing of the season, but it was a very different game to the last one. Playing against a fired up Blackwater Steelers team, they edged a tough contest on a scoreline of 41 - 31. Indeed, Star were asked some serious questions in the first quarter, and with A. O'Connor in fine form, Steelers took control of the game, leading at the Q1 break 9-3. However, Star really turned the game round with an explosive 2nd Quarter and, led by Christopher Fulton, seized the game by the scruff of the neck. it was high octane stuff, with 'Sshhwaap' brothers Christopher Fulton & Conor Ryan driving the tempo, and Conor Cooke, Kevin McColgan and Conn Doherty running the floor with energy and purpose, and Star lead at the half 24 -12. Steelers however were not going to give up by any means, and again in the third quarter the pendulum swung back towards the visitor's favour. Strong play again by A O'Connor and C McCrystal enabled Steelers to close the gap to 6 by the end of the third Quarter, as again Star struggled to execute in offence, and were guilty of taking some bad options that enabled Steelers to get away for cheap transition baskets. Indeed, Steelers levelled matters in the fourth Quarter, forcing the Star coaching team to change personnel again to their speed team, and with the re-introduction of Christopher Fulton, they were able to lock down hard defensively and get into a better flow offensively, to close the game out by a 10 point margin. CJ was a deserved MVP, finishing with a game high 23 points, but his all-round game was a joy to behold. 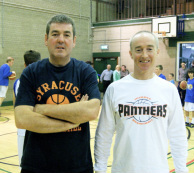 He was as ever well-supported in the back court by Conor Ryan, Conor Cooke who boarded and ran the floor well, and in particular by Conn Doherty, who was simply superb defensively, and registered 10 points mainly in transition. A special mention must go to Matthew Mulholland who made a great impression in his debut, and is set to make a great contribution to this unit. Sat 16 Nov: Star u14a team had a comfortable victory away to Tyrone Towers at Dungannon Leisure Centre on Saturday, coming away with a 57-12 win to remain unbeaten. Though the score was never really in doubt, the team put in a disciplined performance and maintained a high tempo throughout the whole game which must have pleased the coaching staff. Star settled quickly from the tip-off, and with Peter Henvey and Daniel Hackett showing great court vision and pushing the ball at every opportunity, the team were soon building a solid lead, the main beneficiaries being Rory Brolly and Niall McGinnity who ran the floor superbly. The faces changed, but the high tempo continued into the second quarter, as Star continued to share the ball and get scores from everyone on the floor. 'Schwaap' brothers CJ Fulton and Conor Ryan were relentless on both offense and defense, and with Con Doherty, Kevin McColgan and Conor Cooke dominating the boards and impossible to stop in transition, the game was effectively over as a contest by half-time. The second half provided a great opportunity for the coaches to look at different combinations on the floor, and it must have been pleasing to see the team execute off different sets both in the half court and on dead-ball plays. Towers to their credit never gave up, and battled bravely to the end, but were just not able to cope with the deep roster they were up against, and Star ran out victors on a 57-12 scoreline. The Star scores were spread evenly throughout the team, and co-MVPs were Rory Brolly and Christopher Fulton. Sat 26 Oct Star u14a team won their second league game of the season on Saturday against local rivals Queens, 29-27. As the scoreline suggests, this was an evenly-contested and exciting game, with Star needing a strong second half performance to overcome the challenge of a spirited Queens team. Both teams took time to settle into their game, but Queens found their rhythm in the 2nd Quarter to pull away behind the inspired play of Matthew Rooney, and led 18-13 at the half. 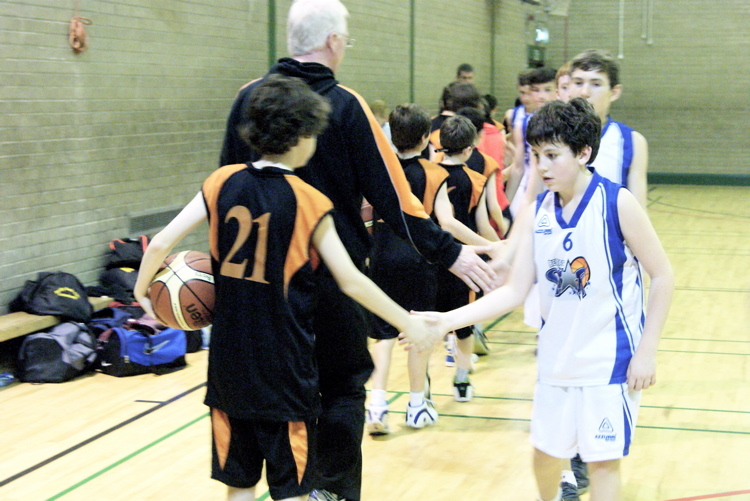 However, a strong defensive performance in the 3rd quarter, led by Daniel Hackett, Peter Henvey and Niall McGinnity brought Star back into the game, the latter topping it off with a skillful reverse lay-up which the crowd duly appreciated. Star's defensive intensity in the 4th Quarter - with Conn Doherty, CJ Fulton and Conor Ryan constantly disrupting the Queen's offense, and Peter Henvey and Niall McGinnity starting to control the boards - enabled the team to get out and run, and Star began to pull away. But Queens showed their mettle and came back again, Matthew Rooney making the first of his two free-throws in the final seconds to close the gap to 2. After missing the 2nd shot intentionally, Niall McGinnity corralled the rebound, and Star were able to run out the clock for victory. MVP Peter Henvey top scored for Star with 10, supported by Conor Ryan (8) and Christopher Fulton (6). But holding a potent Queens offense to 9 second-half points was key to a good win. Sun 13 Oct: Star's u14A Team got their season underway in style with a very convincing win over Letterkenny Blaze in St Malachy's. The game turned out to be one of those where the score got away on the Donegal boys but they were often unlucky in scoring positions. They were also unfortunate in meeting a Star line-up that were totally on song on the day. Coaches McCreanor and McColgan will be quietly confident that this team will go places this year. Final score: Star 67, Blaze 4.